Red Blood Cells are also knows as RBCs. It performs the most important duties to transport oxygen to each part of the cell and carry CO2 from them and releases to lungs. Every drop of blood has millions of RBCs. This is import know that Blood contains Hemoglobin that’s why it's color is red. Blood are found in almost all the animals and human body. 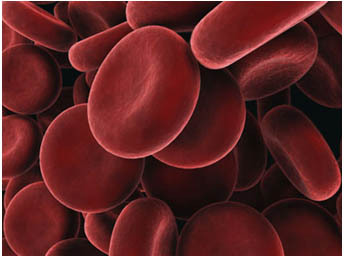 Blood contains red blood cells, white blood cells and platelets. Red Blood Cells or “erythrocytes” are the cells that are designed to transport respiratory gases to and from the tissues. Mature mammalian red blood cells are biconcave discs with an average diameter of 7.2µm, volume of about 85 fl and a surface area of 140µm2, which is ideally suited for gaseous exchange. RBCs are arranged in a series in the capillaries. The hemoglobin molecules, combines with both Oxygen, and Carbon Dioxide. The red blood cells are capable of traversing the vascular system without mechanical damage. Mature RBCs are devoid of any nucleus and other organelles. .